 Why it makes sense to consult ER patients before sending them to CT - ONRAD, Inc.
DiagnosticImaging.com | October 27 – It’s all too easy to reduce medicine to facts, practices to technology. Patients need to be consulted when it comes to making decisions involving the use of CT, according to a recent emergency room survey, even when time is in short supply and the answers seem obvious. A study published in the November issue of the American Journal of Roentgenology finds that patients widely accept that CT is the way to go when answering questions that arise in the emergency room. They also accept that the use of this x-ray–based modality is more important than any associated risk of radiation exposure. What many patients don’t accept is being cut out of the decision loop. The study found that two-thirds of patients want to be part of a discussion about the risks and benefits of CT before a scan is ordered, according to the study’s lead author, Dr. Kevin M. Takakuwa.